We bought Gracie over the winter after her three-year-old year. She was reserve champion in the open threes at the congress with Nancy Swarm and I thought she was absolutely beautiful. The first thing I noticed about her is her sweet, expressive face. Everyone always says that you can tell right away that she is a Skys Blue Boy. Our first year together, Gracie and I won the novice youth HUS at the Congress. It was really exciting, so I decided my goal for next year would be to make the finals at the youth world. When we left for Fort Worth, didn’t think we were going to be able to accomplish that goal. We hadn’t shown a lot outside of Wisconsin, and we didn’t advertise at all. I thought there was no way I was going to make the finals on a horse I keep at home, so I decided to just do my best and ride as well as I could. We went on to win the youth world, which was one of the most amazing experiences of my life. That year, she was also third in the junior HUS at the world with Gigi Bailey. The low point of Gracie’s career came shortly after that, when she tore her suspensory tendon playing outside. She missed both world shows and the congress that year. We weren’t sure if she was ever going to be sound again, but Equine Sports Medicine did a really excellent job working with her and helping her recover. It was a long painful process, but she was so cooperative. We could tell she missed showing, so we had her picture taken a lot. Gracie has always loved posing for pictures and having the spotlight on her. 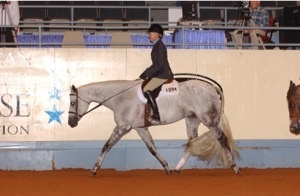 In 2007, she started showing again we were reserve in the NYATT HUS at the Congress. 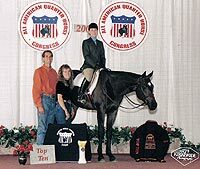 She was also reserve world champion in senior HUS that year. 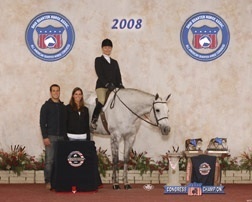 At the 2008 Congress, Gracie won the limited Maturity HUS with Gigi Bailey. We started showing her less often around this point, and we focused more on breeding her. This summer at the NSBA World, Gracie won the senior HUS and her daughter Colossal Asset won the Maturity Open HUS, both with Nancy Sue Ryan. We think this may be the only time a mother and daughter have won these two classes in the same year. Gracie is nine years old now, and still going strong. Like many of her brothers and sisters, she has incredible natural talent over fences, but we have always focused on the under saddle. I’m really lucky to have gotten to show her for so long, and I wouldn’t trade her for anything. CONGRATULATIONS TO ITS MORE MONEY HONEY! 2007 Res. World Champion Jr. Hunter Hack and Res Congress Champion in Jr. Working Hunter and 14-18 Hunter Under Saddle. 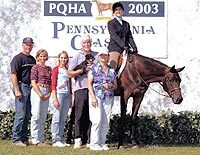 "Dolly" (short for Dollars) started her career by winning the Open and the Non-Pro Hunter Under Saddle Ohio Futurity as a three year old in 2005. 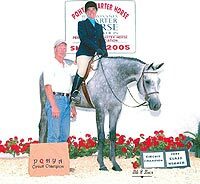 Dolly came back as a four year old, the first AQHA class she was shown in was Hunter Under Saddle 14-18 there were twenty-eight entries and she won under both judges. Jessica Johnson already had her hands full showing Royality In Blue, so Dolly got to be turned out in the pasture until she was five. Dolly got to go to Florida for the 2006-07 show, she was shown in a lot of events for the first time. Jessica and Dolly teamed up in Equitation 14-18 and won under both judges out of thirty-three. Then Lainie DeBoer started Dolly's jumping career at the Sun Circuit. Her first time out she received a first and a second in Jr. Working Hunter and two firsts in Jr. Hunter Hack. Dolly went on to be the Reserve Circuit Champion in both events. She has had a great beginning. Dolly has a great personality. She takes after her mother, It's Only Money Honey, a gray TB mare that we once raced. We kept the mare after her racing career so that Jessica had something to ride at home. When we discovered she excelled at jumping we went ahead and bred her hoping to get something that was great moving and great at jumping as the mare is BINGO!!! We are so happy with Dolly. She has exceeded our expectations. If all goes as planned, Dolly will compete at both The Youth World Show and The Open World Show. Since Sky's Blue Boy's first rideable foal crop, I have been well suited with wonderful hunter under saddle horses. In the summer of 1999 I purchased 2 weanlings from the Monacos for myself as projects to raise and start under saddle. The mare, Wandering In The Blue was sold later to a client. I started and trained her and then showed her. The mare's great personality and exceptional trot made her the perfect horse to carry my student through her Novice skill set and on to her Superior in the Youth Hunter Under Saddle. The huge gelding, Whats New In Blue, was later sold to a client of the Vickery's. I started him under saddle and then he went to the Vickery's to get ready for the 2 year old class at the Congress. He was so quiet and wonderful that I wasn't surprised that he was Top Five at the Congress, has won two Youth Superiors and qualified for the World Show multiple times over fences. At the same time I purchased the other two weanlings I also found a filly for my client at the Monaco's. She later would come back into my life to become one of my most special SBBs: Portrait In Blue. 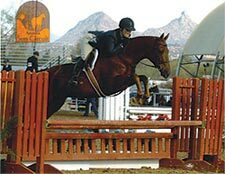 In the winter of 1999 a yearling purchased from the Robertson's and Monaco's named Venture In Blue became my rideable training project for 2000. This exceptional stallion was third place at the Congress in Open 2 Year Old Hunter Under Saddle. In 2001 I started him in the cart and Bruce Vickery showed him very successfully. His stellar movement quickly got him qualified for the World Show and he was sold to Ray Roles. Leaving me horseless in the middle of the 2001 show season I purchased a 2 year old named Portrait In Blue. I had found her at the Monaco's as a weanling for one of my clients and my client resold her as a yearling, then I repurchased her. With careful training, especially because of her size, I showed her in the Junior Hunter Under Saddle as a 2 in preparation for the Congress and also put AQHA points on her. She was fifth in the Open 2 YO HUS and fifth in the Limited 2 YO HUS. As a 3 year old I quickly qualified her for the World Show in the Junior Hunter Under Saddle and was NJQHA Year End Champion. With her Superior Event Title clearly in site as a 3 year old she was sold in November while at a show. 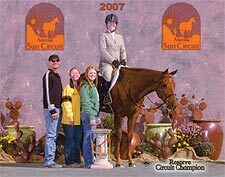 Again unexpectedly horseless my husband and I headed back down to Florida in March 2003 for another Sky's Blue Boy from the Robertson's and Monaco's. 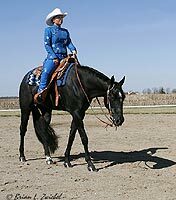 I'll Cure The Blues headed out with me early spring and was Champion Junior Hunter Under Saddle Horse in PQHA and KQHA. My client, Vito Latini purchased I'll Cure The Blues as his Novice Amateur Hunter Under Saddle Horse. 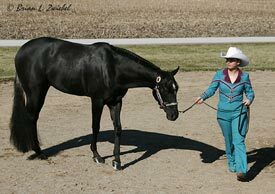 She quickly pointed him out of that skill set while she won AQHA show circuit championships, AQHA state year end, and NSBA awards. Linda was left again with the task of finding me another SBB! Back to Florida, back to Robertson's, to find Dressed Up In Blue! That deal took all of 30 seconds to put together. He was perfect! 2004 was a huge growing year for the big gray. Because I didn't want to chance hurting him I instead focused my energy on Do The Blue. I found him for a client from the Monaco's as a "step up" horse. The time was well spent. He went on to be the Congress Hunter Under Saddle Champion in the 11 Year Old and Under. I also concentrated my efforts on another SBB son I found at the Robertson's, Fancy and Blue. I showed him for another client in the hunter shows. We were High Point Champion in the Pre Green Division for the show series. By 2005 Dressed Up In Blue was mature, strong, quiet, kind, and solid at 17 hands. With limited showing he qualified for the World Show in Junior Hunter Under Saddle, was Reserve Champion at Region V, won PQHA, KQHA Champion for the year, ESQHA Reserve Champion and NSBA class winner in Elmira, NY. 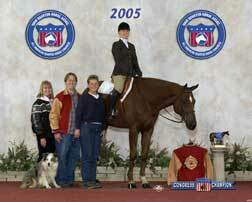 His strong resemblance to his father made it only fitting that accomplishing his Open Superior in Hunter Under Saddle came quickly as he qualified for the World Show again in 2006. A sure test of his talent and rock solid personality was when we had a very emotional win at Region V and he was named Champion in Junior Hunter Under Saddle. Some of us are lucky enough to get a very special, exceptionally talented horse once in our lifetime. I've had many! So you enjoy them, take great care of them, and appreciate them during the time you're blessed enough to have them! I would like to give a huge THANK YOU to Skys Blue Boy, Ray and Linda Monaco, and the Robertsons who have kept me well suited in wonderful horses that help me express my passion and love for horses. I was in the process of finding my next show prospect that could be competitive at the Congress and World Championship Quarter Horse Show. I had seen a picture of Skys Blue Boy and thought “this is exactly what I’m looking for in an English horse.” I spoke to Linda Monaco, owner of Skys Blue Boy, at the 1999 Congress and told her I wanted a black or grey. Needless to say among videos she sent, there was a sorrel with four white legs that had the movement that I was looking for. I sent the video to my trainer, Gayle Lampinen, and after some confusion as to which horse I liked, Gayle chose the same one. It was “the sorrel with four white legs” with a gorgeous trot and lope and extremely slow legged. 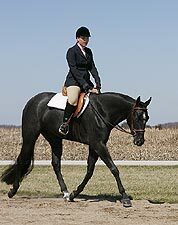 We both felt he had the potential to be a great hunter under saddle horse and athletic enough to do the pattern classes. Linda sent his mother to Bill Fuchs to foal out. Bill then had to make the infamous phone call to Linda to inform her a sorrel colt was born but not only that, he also had four white legs. Thus Linda told Bill, “I wish he were blue.” Thus, the rest is history.  That is how he was named “I WISH I WERE BLUE,” alias “Sky”. 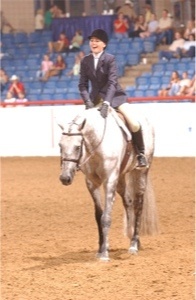 Sky is owned by Michelle Lahnala-McLean who purchased him in 1999 as a yearling and sent him to Gayle Lampinen. Since then, he has been trained and shown by Gayle and Michelle earning over 860 points in 7 events. Along with earning Superior Awards for Amateur Hunter Under Saddle, Amateur Hunt Seat Equitation, Amateur Showmanship, Open Hunter Under Saddle and nearing Amateur Horsemanship. 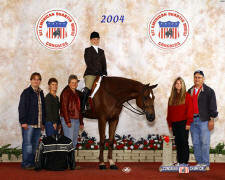 They were the 2005 Congress Champion in Amateur Hunt Seat Equitation, Reserve Champion in Amateur Hunt Seat Equitation at the 2004 Congress, 2004 World Show top ten in Amateur Hunt Seat Equitation and Hunter Under Saddle and Senior Hunter Under Saddle, 2005 World show top ten in Amateur Hunt Seat Equitation. Sky has qualified for the World Championship Show every year since he was a 3 yr old where he was a finalist in Amateur Equitation. Among his record, he is currently 1st in the Nation for 2006 in Amateur Equitation, 2nd in the Nation for 2005 in Amateur Equitation, 2nd in the Nation in 2004 in Amateur Equitation, 3rd in the Nation in 2003 in Amateur Equitation and 2nd in the Nation in 2002 in Amateur Equitation. Sky is truly a horse that loves his job. According to Gayle, he was the easiest horse she has ever trained. He is always willing to learn and extremely athletic. Everyone dreams to have a horse with his natural ability and happy personality. We truly have been fortunate to own , train and show a horse like Sky. It is always hard to find a new horse to replace the one that you had before. It is even harder to replace a horse that has helped you achieve numerous top tens in the world, but when you finally find a horse that can accomplish all of your goals, then you must buy it. While at the 2005 Appaloosa World Show, I found the perfect horse to fit all of my needs. This gorgeous four year old black Appaloosa, who had started to turn a silvery grey, caught my eye and I was in love. His name was Shys Blue Boy, by Skys Blue Boy and he was exactly what I was looking for. What I did not know at that time is that he had won the Reserve 3-Year Old Western Pleasure class at the Nationals the year before. Although I knew that this fifteen three hand horse was an exceptional mover and he did the Hunter under Saddle, the English Equitation, the Western Pleasure, the Western Horsemanship and the Showmanship I wondered if we could add a few more events to his repertoire. I only knew that I had to have him, so I begged my mom. She, my father, and grandmother agreed to purchase him for me to become my new mount for 2006. We brought him back with us from Texas to Republic, Ohio, where my trainer, Rusty Miller and I both live and went right to work getting to know each other and trying to teach “Blue” new things. After a couple of weeks of the two of us feeling each other out, which was not hard since “Blue” is such an easy going guy, we started working on teaching him trail. As the trail progressed through the winter, and we learned all about each other, the 2006 show season started to come closer. I had been showing competitively in the Appaloosa show circuit for two years, so I had gotten over getting nervous at shows, but with having a new horse, and not knowing exactly how he would be like at the show, I was getting a little bit tense. On April 14th we loaded up the horse trailer and headed to Gordyville, Illinois for the first horse show of the year. The whole winter for preparation was behind us, and now it was time to figure out if my boy “Blue” and I were ready. The show went better then planned. I planned to do well, but I never figured I would do so well at my first show with my new horse that I would ride away with the High Point Youth 14-18 award. We did well in all of our classes and won under at least a few judges in most of them. For now, we will travel to the regional shows that we usually attend after competing at the nationals. A little further into the year we will view our current year-end standings and at that time determine whether or not we will haul for any of the year end awards. We have already attended one show since Nationals at Lansing, Michigan and we did very well there as well. “Blue” ended up winning the high point Western Horse, and we also walked away with the high point 16-18 youth award. With so much accomplished this year, and with so many people helping me to achieve my goals, it is only right that I take the time and thank these people. First I would like to thank Chris Gray for helping me find this magnificent horse. Without his caring and expertise I may have never of found such a good horse. Also all his help was greatly appreciated at the youth worlds. Next I would like to thank Rusty Miller for helping me achieve all my goals, if it wasn’t for him I would not be where I am now. Also, I would like to thank my Mom and Dad for all they do for me. I wouldn’t have this opportunity to show horses without their support. All the money and time it takes to get me to these shows is greatly appreciated. Without the help of my grandma we would not have been able to purchase and own this outstanding horse. This has been an outstanding year, with a wonderful horse and if it wasn’t for all the people in my life that help me out along the way I would not be able to compete at the level that I do. Thank you all so very much.